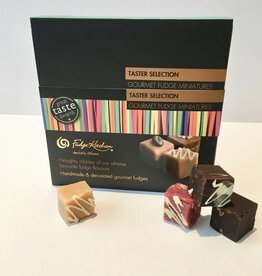 A Best Seller individual gourmet fudge slider holding 6 pieces of double chocolate fudge. A delectable classic revealed by a luxurious sliding sleeve. Recipient of "Great Taste Award".